Our range of products include pantoprazole 40 mg, netilmicin injection, cefoperazone sulbactam injection, cefoperazone 1 gm tazobactam 125 mg, clindamycin injection and piperacillin tazobactam injection. We Salvavidas Pharmaceutical Pvt Ltd are a leading Manufacturer and Exporter of Pantoprazole vial in different strength and packing. Our manufacturing facility is certified with WHO-GMP. 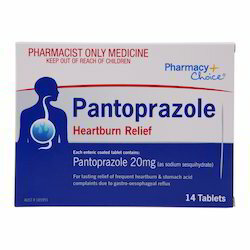 Pantoprazole is a selective “proton pump inhibitor”, a medicine which reduces the amount of acid produced in your stomach. It is used for treating acid-related diseases of the stomach and intestine. We Salvavidas Pharmaceutical Pvt Ltd are a leading Manufacturer and Exporter of Netilmicin injection in different strength and packing. Our manufacturing facility is certified with WHO-GMP. We Salvavidas Pharmaceutical Pvt Ltd are a leading Manufacturer and Exporter of Cefoparazone Sulbactam injection in different strength and packing. Our manufacturing facility is certified with WHO-GMP. We provide combination of Cefoperazone with Sulbactam to fight against stubborn infections,assure a safe zone in difficult situations,under brand name Zarazone. We Salvavidas Pharmaceutical Pvt Ltd are a leading Manufacturer and Exporter of Cefoperazone Tazobactam injection in different strength and packing. Our manufacturing facility is certified with WHO-GMP. Sterile Cefoperazone Sodium I.P. eq. To Cefoperazone 1000mg. We Salvavidas Pharmaceutical Pvt Ltd are a leading Manufacturer and Exporter of Clindamycin injection in different strength and packing. Our manufacturing facility is certified with WHO-GMP. Clindamycin is used to treat a wide variety of bacterial infections. 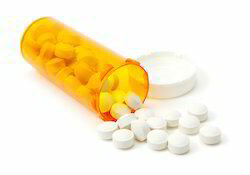 It is an antibiotic that works by stopping the growth of bacteria. This antibiotic treats only bacterial infections. We Salvavidas Pharmaceutical Pvt Ltd are a leading Manufacturer and Exporter of Piperacellin Tazobactam injection in different strength and packing. Our manufacturing facility is certified with WHO-GMP. The Pipracare for injection offered by us is an inject-able antibacterial combination of piperacillin sodium and the beta-lactamase inhibitor tazobactam sodium. These medicines are suitable for curing bacterial infections of the lungs, abdomen and skin Febrile Neutropenia. Piperacillin/Tazobactam is a combination antibiotic containing the extended-spectrum penicillin antibiotic piperacillin and the β-lactamase inhibitor tazobactam. It is commonly marketed by ADEPT under the trade name PEPONE TAZ. We Salvavidas Pharmaceutical Pvt Ltd are a leading Manufacturer and Exporter of Meropenem injection in different strength and packing. Our manufacturing facility is certified with WHO-GMP. Meropenem is an antibiotic that fights bacteria. Meropenem is used to treat severe infections of the skin or stomach. Meropenem is also used to treat bacterial meningitis (infection of brain or spinal cord). Meropenem may also be used for purposes not listed in this medication guide. Meropenem is injected into a vein through an IV. You may be shown how to use an IV at home. Do not self-inject this medicine if you do not understand how to give the injection and properly dispose of used needles, IV tubing, and other items used to inject the medicine. Meropenem is usually given every 8 hours. Follow all directions on your prescription label. Do not use this medicine in larger or smaller amounts or for longer than recommended. Meropenem must be mixed with a liquid (diluent) before using it. If you are using the injections at home, be sure you understand how to properly mix and store the medicine. Do not mix other injectable medications in the same IV bag or tubing used to given your meropenem injection. Use this medicine for the full prescribed length of time. Your symptoms may improve before the infection is completely cleared. Skipping doses may also increase your risk of further infection that is resistant to antibiotics. Meropenem will not treat a viral infection such as the common cold or flu. We Salvavidas Pharmaceutical Pvt Ltd are a leading Manufacturer and Exporter of Ceftazidime Sulbactam injection in different strength and packing. Our manufacturing facility is certified with WHO-GMP. Ceftriaxone is an used to treat a wide variety of bacterial infections. This medication is known as a cephalosporin. It works by stopping the growth of bacteria. Sulbactam only works against bacteria. We Salvavidas Pharmaceutical Pvt Ltd are a leading Manufacturer and Exporter of Vancomycin Hydrochloride 500 Mg injection in different strength and packing. Our manufacturing facility is certified with WHO-GMP. We Salvavidas Pharmaceutical Pvt Ltd are a leading Manufacturer and Exporter of VTecoplanin 400 Mg Lypholized injection in different strength and packing. Our manufacturing facility is certified with WHO-GMP. It is a glycopeptide antibiotic. It is predominantly bactericidal both against aerobic and anaerobic gram positive bacteria. Indications: Severe infections caused by gram positive bacteria, prophylaxis against gram positive endocarditis in dental surgery to high risk heart patients. Intra peritoneal administration to treat peritonitis in partients undergoing chronic ambulatory peritoneal dialysis. We Salvavidas Pharmaceutical Pvt Ltd are a leading Manufacturer and Exporter of Tigecyclin injection in different strength and packing. Our manufacturing facility is certified with WHO-GMP. Assisted by rich industry experience, we are involved in offering a wide grade of Tigecycline Injection to our clients. Our offered injection is formulated using qualitative ingredients and up-to-date techniques. The offered injection is strictly tested for its composition and quality. The offered injection is widely cherished among clients for its remarkable features and effectiveness. Our clients can avail this injection from us at reasonable price. We Salvavidas Pharmaceutical Pvt Ltd are a leading Manufacturer and Exporter of Colistimethate injection in different strength and packing. Our manufacturing facility is certified with WHO-GMP. Over 60kg : 1-2 million units TID. The maximum dose is 6 million units in 24 hours. Up to 60kg : 50,000 units/kg/day, to a maximum of 75,000 units/kg/day. The total daily dose should be divided into three doses given at approximately 8-hour intervals. We Salvavidas Pharmaceutical Pvt Ltd are a leading Manufacturer and Exporter of Amikacin vial in different strength and packing. Our manufacturing facility is certified with WHO-GMP. With the efforts of our competent team, we are providing Amikacin Single Vial. The offered injectables are highly accepted among customers all across the nation. These injectables are tested on various parameters of quality in order to deliver flawless range at patrons end. Along with that, the offered injectables are formulated by utilizing high grade ingredients and sophisticated technology. Packaging Size Single vial packing. We Salvavidas Pharmaceutical Pvt Ltd are a leading Manufacturer and Exporter of Rabeprazole vial in different strength and packing. Our manufacturing facility is certified with WHO-GMP. Rabeprazole sodium belongs to a class of antisecretory compounds (substituted benzimidazole proton-pump inhibitors ) that do not exhibit anticholinergic or histamine H2-receptor antagonist properties, but suppress gastric acid secretion by inhibiting the gastric H+, K+ATPase at the secretory surface of the gastric parietal cell. Because this enzyme is regarded as the acid (proton) pump within the parietal cell, rabeprazole has been characterized as a gastric PPI. Rabeprazole blocks the final step of gastric acid secretion. In gastric parietal cells, rabeprazole is protonated, accumulates, and is transformed to an active sulphenamide. When studied in vitro, rabeprazole is chemically activated at pH 1.2, with a half-life of 78 seconds. It inhibits acid transport in porcine gastric vesicles, with a half-life of 90 seconds. We Salvavidas Pharmaceutical Pvt Ltd are a leading Manufacturer and Exporter of Aciclovir vial in different strength and packing. Our manufacturing facility is certified with WHO-GMP. We Salvavidas Pharmaceutical Pvt Ltd are a leading Manufacturer and Exporter of Ceftriaxone vial in different strength and packing. Our manufacturing facility is certified with WHO-GMP. We Salvavidas Pharmaceutical Pvt Ltd are a leading Manufacturer and Exporter of Omeprazole vial in different strength and packing. Our manufacturing facility is certified with WHO-GMP. we are able to supply and export excellent quality array of Omeprazole Injections. These omeprazole injections are gastric proton pump inhibitors that are widely used for effective treatment of gastic ulcers. Our omeprazole injections encourage healing of corrosive esophagitis or damage to esophagus caused by acid reflux from the stomach. These omeprazole injections are fast acting and should be administered by licensed medical practitioner. Avail from us our range of omeprazole injections at economical prices. We Salvavidas Pharmaceutical Pvt Ltd are a leading Manufacturer and Exporter of Esomeprazole vial in different strength and packing. Our manufacturing facility is certified with WHO-GMP. We Salvavidas Pharmaceutical Pvt Ltd are a leading Manufacturer and Exporter ofCeftriaxone Sulbactam vial in different strength and packing. Our manufacturing facility is certified with WHO-GMP. We Salvavidas Pharmaceutical Pvt Ltd are a leading Manufacturer and Exporter of Cefoparazone Sulbactam vial in different strength and packing. Our manufacturing facility is certified with WHO-GMP. 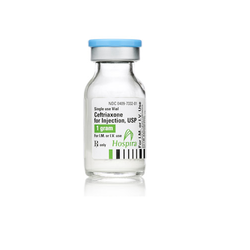 We Salvavidas Pharmaceutical Pvt Ltd are a leading Manufacturer and Exporter of Ceftriaxone Tazobactam vial in different strength and packing. Our manufacturing facility is certified with WHO-GMP. It is one of few cephalosporin antibiotics effective in treating Pseudomonas bacterial infections which are otherwise resistant to these antibiotics . We Salvavidas Pharmaceutical Pvt Ltd are a leading Manufacturer and Exporter of Cefoparazone vial in different strength and packing. Our manufacturing facility is certified with WHO-GMP. We Salvavidas Pharmaceutical Pvt Ltd are a leading Manufacturer and Exporter of Amoxycillin Potassium Clavenic injection in different strength and packing. Our manufacturing facility is certified with WHO-GMP. We Salvavidas Pharmaceutical Pvt Ltd are a leading Manufacturer and Exporter of Tobramycin Sulphate injection in different strength and packing. Our manufacturing facility is certified with WHO-GMP. We Salvavidas Pharmaceutical Pvt Ltd are a leading Manufacturer and Exporter of Ceftazidime injection in different strength and packing. Our manufacturing facility is certified with WHO-GMP. Ceftazidime is used for treating bacterial infections. Ceftazidime is a cephalosporin . It works by killing sensitive bacteria. Use ceftazidime as directed by your doctor. Check the label on the medicine for exact dosing instructions. Ceftazidime is usually administered as an injection at your doctor's office, hospital, or clinic. If you are using ceftazidime at home, carefully follow the injection procedures taught to you by your health care provider. Do not use ceftazidime if it contains particles, is cloudy or discolored, or if the vial is cracked or damaged. To clear up your infection completely, take ceftazidime for the full course of treatment. Keep taking it even if you feel better in a few days. If you miss a dose of ceftazidime, take it as soon as possible. If it is almost time for your next dose, skip the missed dose and go back to your regular dosing schedule. Do not take 2 doses at once. We Salvavidas Pharmaceutical Pvt Ltd are a leading Manufacturer and Exporter of Ceftazidime Tazobactam injection in different strength and packing. Our manufacturing facility is certified with WHO-GMP. Ceftazidime Tazobactam drugs are used for the treatment of lower respiratory tract infections and skin structure infections. These drugs are formulated under the firm observation of the expert professionals using best quality compounds, procured from the most reliable vendors. These are used for Lower Respiratory Tract Infections, Skin and Skin Structure Infections, Urinary Tract Infections, Pelvic Inflammatory Disease, Bacterial Septicemia, Bone Joint Infections, Intra-Abdominal Infections Central Nervous System Infections. We Salvavidas Pharmaceutical Pvt Ltd are a leading Manufacturer and Exporter of Cefepime 1 Gm injection in different strength and packing. Our manufacturing facility is certified with WHO-GMP. We Salvavidas Pharmaceutical Pvt Ltd are a leading Manufacturer and Exporter of Imipenem 500 Mg + Cilastatin 500 Mg injection in different strength and packing. Our manufacturing facility is certified with WHO-GMP. We Salvavidas Pharmaceutical Pvt Ltd are a leading Manufacturer and Exporter of Polymyxin-B injection in different strength and packing. Our manufacturing facility is certified with WHO-GMP. Polymyxin B is an antibiotic primarily used for resistant Gram-negative infections. It is derived from the bacterium Bacillus polymyxa. Polymyxin B is composed of a number of related compounds. It has a bactericidal action against almost all Gram-negative bacilli except the Proteus and Neisseria genera. Polymyxins bind to the cell membrane and alter its structure, making it more permeable. The resulting water uptake leads to cell death. Polymyxins are cationic, basic peptides that act like detergents. We Salvavidas Pharmaceutical Pvt Ltd are a leading Manufacturer and Exporter of Voriconazole injection in different strength and packing. Our manufacturing facility is certified with WHO-GMP. With an aim to fulfill the medical requirements of our precious clients, we bring forth a qualitative range of Voriconazole Injection. Our offered injection is an azole antifungal used to treat a variety of fungal infections. The offered injection is widely used in hospitals, nursing homes, and other medical sectors for its distinct properties. It must be given under the management of certified professionals. We Salvavidas Pharmaceutical Pvt Ltd are a leading Manufacturer and Exporter of Methylcobalamin injection in different strength and packing. Our manufacturing facility is certified with WHO-GMP. Methylcobalamin 1500 mcg Injection is used to cure the deficiency caused by vitamin B12. It is a Central Nervous System Drugs used for a treatment of Peripheral neuropathy, and Diabetic neuropathy. This injection is injected in the nerves and helps the infected body parts to produce nucleic acid and start protein synthesis. We Salvavidas Pharmaceutical Pvt Ltd are a leading Manufacturer and Exporter of Edaravone injection in different strength and packing. Our manufacturing facility is certified with WHO-GMP. We are one of the leading manufacturer and supplier of Edaravone injection. We have emerged as a reputed manufacturer and supplier of Edaravone injection . This product is tested on several parameters for dispatching an effective range. Offered product is processed with supreme class ingredients and latest processing methodology under the direction of skilled pharmacists. This product is appreciated among our clientele owing to its effectiveness. We Salvavidas Pharmaceutical Pvt Ltd are a leading Manufacturer and Exporter of Cefuroxime 750 Mg injection in different strength and packing. Our manufacturing facility is certified with WHO-GMP. It is resistant to most beta lactamases and is active against a wide range of Gram-positive and Gram-negative organisms. The most important use of cefuroxime is in meningitis caused by H Influezae, Meningo Cocci and Pneumo Cocci because it attains high concentrations in CSF.